This one is for Dino of Bezuksewas and for Umayya of Palestine, and all who await The Return. Columbus; Columbine; Cuba; Palestine, Israel, Libya … it all fits together now. “There are only 90,000 people out there. (in the Marshall Islands, that the US military “needed” for nuclear bomb tests) Who gives a damn!” quipped Henry in 1959. Henry Kissenger’s global infamy and arrest warrants rest in other such quotes as that which dismisses the unimportance of the potential for the gassing of Russian Jews; who seem less important to him than his own people, the German Jews who trained as Zionist Boy Scouts in Hitler’s Third Reich, in preparation for the long-planned European invasion of Palestine during the 1930s. Now, some people have begun to give a damn about that and other such terrorist atrocities and holocausts that did not take place in Kissenger’s Vaterland of Germany. For example, about the largest of all “holocausts” of all time, the European Conquest of what became known as The Americas and the elimination, dispossession and/or removal of thousands of indigenous nations and individuals, containing an unknown number of millions of the peoples, including my grandmother, on whose lands the European Americans – including the new German immigrant Kissinger’s own – have now occupied for 500 years. This was an unprecedented and is an un-surpassed event of monumental savage brutality. The iron-and-steel-clad soldiers with explosive rifles and cannons moved so fast that, starting with the first 1492 “voyage of discovery” – which seems to have been based upon previous knowledge from such as North African visits as early as 900 A.D., the Conquistadors and the Priests of the Roman Empire, funded by their Royal Court in Spain, were already constructing a stone cathedral and military stronghold – the basilica and forum is what Rome called them – in the little indigenous village of Ajijic, on the north shore of Lake Chapala, fifty miles south of Guadalajara, in today’s Jalisco State, by 1521, about the same time as Tenochtitlan was finally “secured” – according to a plaque on that cathedral that I have seen. Some places in the Americas stood much longer. In the area that is today northeast California, Southeast Oregon and northwest Nevada, the Klamath/Modoc and “Yahooskin” band of Numa people did not see a Conquistador or an Explorer until just before Peter Skene Ogden came though their lands on a joint mission of fur trapping and exploration. Taking strategic notes and inventorying valuable resources, Ogden – a Britsh Loyalist who had migrated to Canada after the USan uprising – was also trapping beavers for the British branch of the Roman Empire’s Hudson Bay Company. Ogden had set out on a series of expeditions to explore the Snake River country. One of the company’s objectives was to bring as many furs from this area as possible to the HBC so as to create a “fur desert”. This would discourage inroads by American trappers and traders. Yes, who gives a damn about the effect upon the peoples who had lived there in a dynamic balance with beavers and all species for thousands of years? Upon reaching Klamath Marsh in December 1826, Ogden encountered what he called the “Clamitte Indian Village,” using the Chinook name for the tribe. There Ogden obtained fourteen fish of a kind he had not seen before and nine dogs. Ogden named Upper Klamath Lake “Dog Lake” after his newly acquired food supply. Ogden also noted that the village had only one horse and no guns. Accompanied by two Klamath Indian guides, the party saw the Klamath River headwaters and looked over the lakes and marshes to the south. Although Ogden found the river disappointingly “destitute of Beaver,” his men took hundreds of beaver pelts from its tributaries, the Shasta and Scott rivers, and from streams that flow into them. On the night of May 9, 1846, Conquistador General John Frémont had received a courier, Lieutenant Archibald Gillespie, bringing messages from President James Polk. Reviewing the messages, Frémont neglected the customary measure of posting a watchman for the camp. The neglect of this action is said to have been troubling to Indian Fighter Kit Carson, yet he had “apprehended no danger”. Later that night Carson was awakened by the sound of a thump. Jumping up, he saw his friend and fellow trapper Basil Lajeunesse sprawled in blood. He sounded an alarm and immediately the camp realized they were under attack by Native Americans, estimated to be several dozen in number. By the time the assailants were beaten off, two other members of Frémont’s group were dead. The one dead attacker was judged to be a Klamath Lake native. Frémont’s group fell into “an angry gloom.” Carson was furious and smashed the dead warrior’s face into a pulp. To avenge the deaths, Frémont attacked a Klamath Tribe fishing village named Dokdokwas, that most likely had nothing to do with the attack, on May 10, 1846. Dokdokwas was at the mouth of what is now called “Crooked Creek” into Klamath Lake just a bit downstream from “Ft. Klamath”. Accounts by scholars vary, but they agree that the attack completely destroyed the village structures; Sides reports the expedition killed women and children as well as warriors. Later that day, Carson was nearly killed by a Klamath warrior when his gun misfired as the warrior drew a poison arrow. Frémont trampled the warrior with his horse and saved Carson’s life. Turning south from Klamath Lake, Frémont led his expedition back down the Sacramento Valley, and promoted the Bear Flag Revolt, an insurrection of United States immigrant settlers. He took charge of it once it had adequately developed. When a group of Mexicans murdered two American rebels, Frémont imprisoned José de los Santos Berreyesa, the alcalde, or mayor of Sonoma, two other Berreyesa brothers, and others he believed were involved. On June 28, 1846, Berreyesa’s father, José de los Reyes Berreyesa, an elderly man, crossed the San Francisco Bay and landed near the area known as San Quentin with two cousins, twin sons of Francisco de Haro, who were 19 years old, to visit his own sons in jail. According to Frémont they were carrying Mexican military dispatches. The men were captured by Carson and his companions when they disembarked. Carson rode to where Frémont was and inquired as to what should be done with the prisoners. Frémont ordered their execution stating, “I want no prisoners, Mr. Carson, do your duty.” The men were shot. Afterwards the soldiers robbed them of their belongings and left them naked along the shore. Later, Carson told Jasper O’Farrell that he regretted killing the men, but that the act was only one such that Frémont ordered him to commit. The individuals who run the civic and political organizations of the Upper Klamath Basin (Klamath and Lake Counties in Oregon and Modoc and Siskiyou Counties in California) are mostly descended from Euro-American peoples only recently arrived in this area. They like to make up stories about how things came to be the way they are. These recent immigrants have developed a myth of their own about this area. Their myth developed from the writings of certain local amateur archaeologists and became widely accepted that the Klamath and Modocs are unrelated to the people who once lived here. This is an echo of the Morman myth (Wake up, Mitt!) and other 18th century inventions that said that a high civilization, related to Europeans, Egyptians, or Asians, once lived on this continent; and it attempts to prove that all the rich material culture found on this continent came from them. The story tells us that this ancient society is now long gone, and the Native American society now on this continent is unrelated to those who made such a high civilization. This myth is used to justify the taking of the lands of the indigenous peoples, who are always characterized as wandering nomads, only recently arrived in the area. The following is from “The History of Klamath Country”, a chapter in Around Klamath Country containing a total of three paragraphs on the first 13,000 years of Native American history, and 250 pages and pictures of an all-White history of 120 years. Even more well-intentioned and better informed scholars contributed to this myth. Speaking of the same remains of the first inhabitants of the Modoc homeland, one such scholar informs us, “These Indians were not Modocs, but were only part of the tremendous migration of wandering hunters who populated North and South America thousands of years ago….Not long after the volcanic activity of the 1600s, the ancestors of the Modocs and Klamaths drifted into the Lakes district of southern Oregon and northern California” (Murray, Keith A., 1959, p. 8). It needs to be made clear here that there was an intentional distancing, of the great homeless mass of European-Americans, from the Klamath-Modoc peoples living here. The reason for creating a separation of the people from their cultural past was to make it impossible for them to claim this high heritage from within the boundaries of their reservation. It became a “lost treasure”, up for grabs. This dispossessing of these living Klamath-Modoc peoples of their cultural and spiritual heritage reduces the items of cultural patrimony to mere “artifacts”. From the “Lost Civilization” perspective, even human remains and items of spiritual value became collectibles, become part of the “American Heritage”, everybody’s treasure. This is the approach of the federal land managers who run volunteer archaeology digs, the “Passport in Time”. Passports identify citizens of one nation when they are travelling within the territory of another nation. Thus, one whole nation — the Modoc — was entirely removed from the landscape which is its home. Of the other two, the homeland area retained by them was greatly restricted, and many communities of families were removed from their home area and put into the home area of other families; leaving behind all the places containing the bones and relics of their ancestors and their heritage. “We are a People of the Land; now we are a landless people” (Raymond Kirk). Until recently, it was commonly accepted by Euroamerican scholars (especially anthropologists and archaeologists) that the earliest written descriptions by early American explorers represented an accurate picture of the lifeways and the territories of the indigenous peoples as they had been for a long time. It was also believed that some of the peoples then in southern Oregon, northeast California and northwest Nevada had been in those places during much of that historic period, the Klamath/Modocs having been limited to the same area that they occupied in 1860. for their recent history, presumed to be limited to hundreds, not thousands of years, as mentioned above. Now we are provided with increasing documentation that this is not the case. There are indications that those first European observations were of these peoples lifeways and territories already massively impacted by the invasion of the continent that began with Columbus. The effects of the European invasion of the continent had already reduced the Klamath/Modoc populations by about 40% through the spread of European diseases during the 18th and 19th century. The long established territories of the many discrete bands had been significantly altered through the transfer of European weapons and horse transportation to some tribes and not to others. Although the constructed fortified island village on Klamath Marsh is challenged by some current archaeologists, this is not a new idea. Whole cities were built on fill in wetlands in Mexico. It’s use in ancient Modoc history is supported by the archaeological investigations at Nightfire Island. The findings of that study (Sampson et al) show that village to also have been built up in the marsh of Lower Klamath Lake on rock and earth that had been carried there from higher ground. In 1854, several leaders of independent Klamath/Modoc groups signed the treaty with the US, retaining only 2.1 million acres of land for themselves; giving the rest to the USA, under some duress. That was reduced by “pre-emptive” settlement claims by the continuing stream of invading “settlers” who took the best lands; until, in the final version, the Klamaths only kept 1.2 million acres. In 1865, Kintpuash led part of his people from the Klamath lands that they had been herded onto and tried to reoccupy the area agreed to by a Captain Steele in a treaty never ratified by the US Congress. After humiliating the US Army for several years, he was finally captured and hung with his fellow leaders, in 1869 at Fort Klamath. In 1959, the 1954 Termination Act was forced upon the Klamath Tribes over their votes on two separate occasions to prevent it. Their lands were taken and sold and the tribe was no longer recognized. It regained Federal recognition as a Tribe in 1986, with no lands. Yes, I know, this must be The End of this long story. But, you know what, It ain’t! 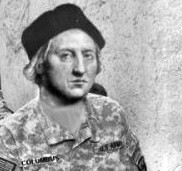 C’mon in Mr. Columbus. What did you bring us?